You captured so much whilst we were whisked away by the photographer. 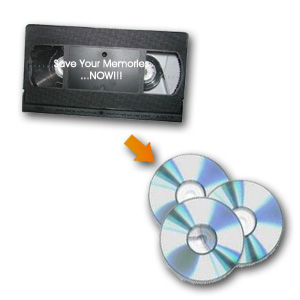 Using the latest technology we can digitally transfer your treasured videos and cine film to DVD. Straight Copies of VHS tape or original filmed video cassette to DVD £20 per DVD only. *Please note this will not enhance the original VHS quality and there is no editing with this option. Edited & Enhanced VHS to DVD We can prolong the life of your family home-movies, wedding and holiday memories - all digitally re-mastered to enhance picture quality. with appropriate music added, titling, rolling credits and DVD Menu with moving thumbnail chapter selection. Film quality will be improved by using the latest DVD technology. Examples of tape formats which we can transfer include VHS/8mm/Hi-8/Super 8/MiniDV and most video and cine film formats. Please call for a price. Historians are concerned that our social history is being lost since the advent of digital and mobile cameras. We don’t print our photos or they are deleted or lost in PC computer crashes. Help change the trend by investing in a 22 carat gold plated archive copy of your wedding film, presented in a special presentation tin. Ideal also as a Birthday, Christmas or Valentine’s gift if we have already filmed your wedding, or to update your cine or VHS wedding film.